It was year 1993, in an old village where I used to live in Johor Bahru, Malaysia. A 90 years old Malay granny walked by my grandparents’ house. ‘Naaa…si Lemaaak…’, ‘Naaa…si Lemaaak…’ she dragged the vowels and sang so vulnerably. Her voice was so hoarse and weak, sharp but harsh. I could hear her from far away especially in the early morning, right after our neighbor’s rooster woke everyone up. Just before I walked to my primary school at 6:45am, that was when she came to sell her Nasi Lemak. As a kid I was already wondering why she needed to sell Nasi Lemak at her age. Instead of walking too slow, it seemed like she was basically trying to move forward like a turtle (my description as a kid), carrying a basket full of Nasi Lemaks wrapped in newspaper. Her back was bend and there was never anyone coming with her. My sister and I had always felt so pity for her. We even had a serious discussion about this. As a 7 and a 9 years old, we made up all kinds of reasons to help us understand why this thing would happen to her. How horrible. We always felt sad whenever we heard her calling for Nasi Lemak buyers on the street. My sister and I would spend our 50 cents, which was half of our daily meal allowance to buy her Nasi Lemak in order to support this poor old granny. We never understood what on earth had happened to her. Back then my grandmother was about 50 years old and she had never worked. How could anyone let this 90 years old work at this age in this condition? The little me realized that life was so unfair. 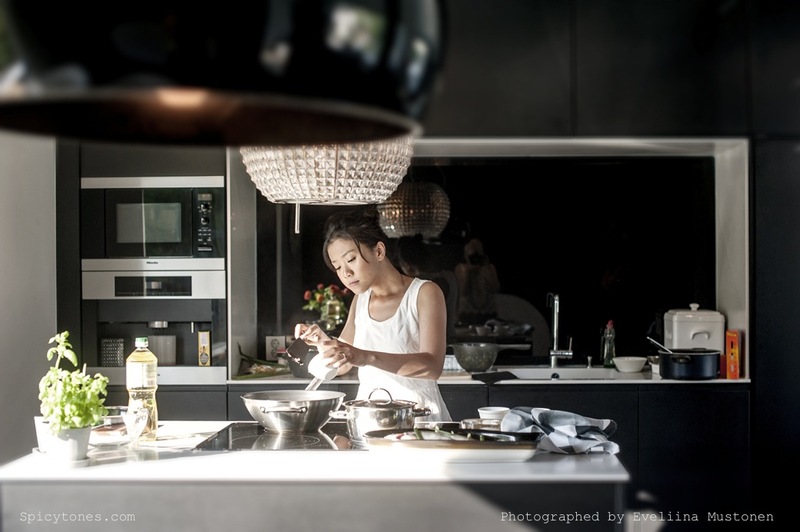 Imagine that she needed to wake up around 4 or 5 am in order to prepare for Nasi Lemak, a traditional Malaysian dish that requires a lot of work. It would not do her any good. Once my uncle bought off all her Nasi Lemaks when he came visiting Johor Bahru. The granny was so happy, that she even graciously gave some discounts for my uncle. 4 Malaysian Ringgits for 10 packages, which made only 40 cents per package. I didn’t think that it was a good deal because I thought that the granny would have needed that money more than we did. Need not to think, I’m sure that she is no longer selling Nasi Lemak anymore… But I still remember how she made her Nasi Lemak different than others. This recipe is dedicated to her. 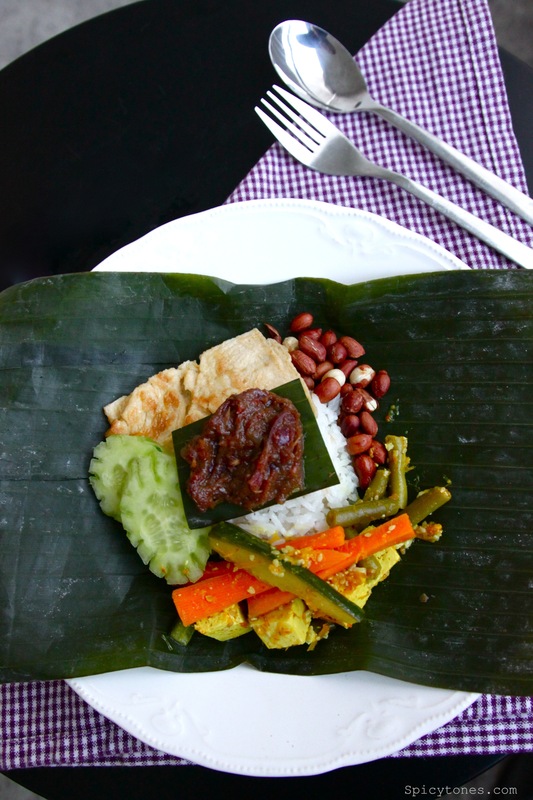 You can make Nasi Lemak in many ways and it usually turns out as delicious as it supposed to be. 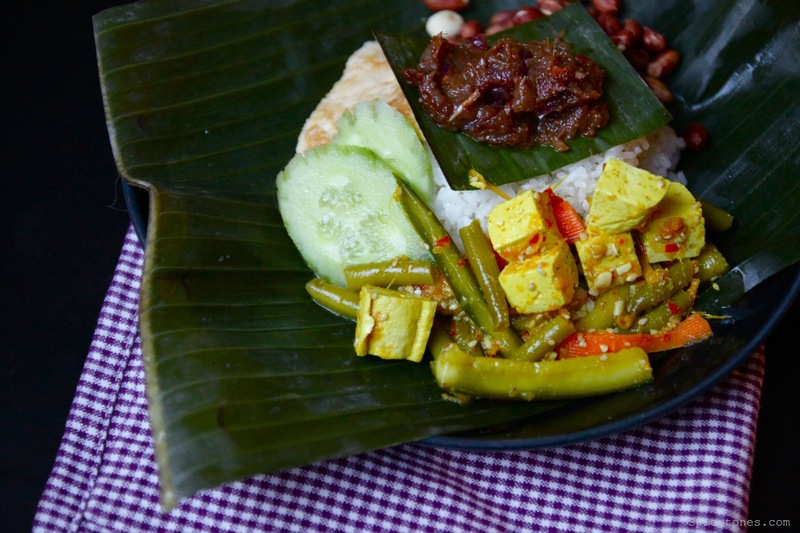 Most Nasi Lemak served with coconut rice, sambal, cucumber slices, fried anchovies and hard-boiled egg. 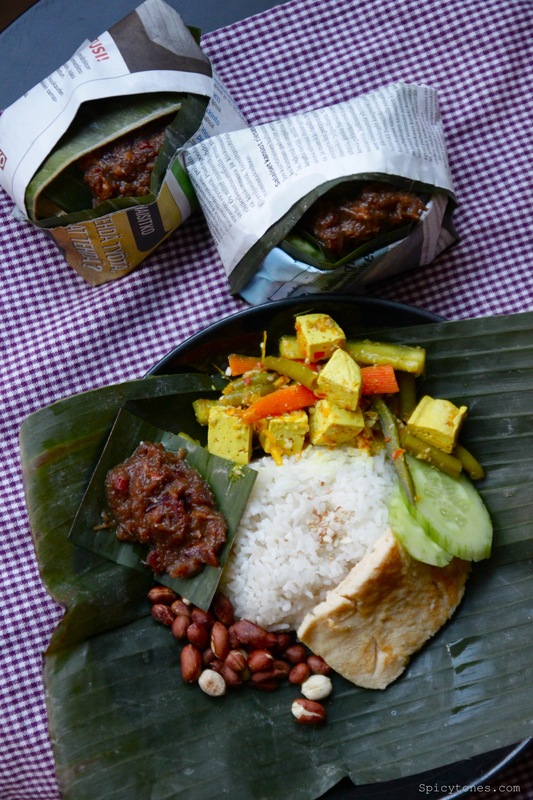 You may easily find fancier ones that come with beef or chicken Rendang as well. I remember that the 90 years old granny used to make hers with a thin layer of omelet that was quite sweet and savory, which I have not seen anyone does it like that elsewhere. Today I’m making the egg her way just for remembering her. 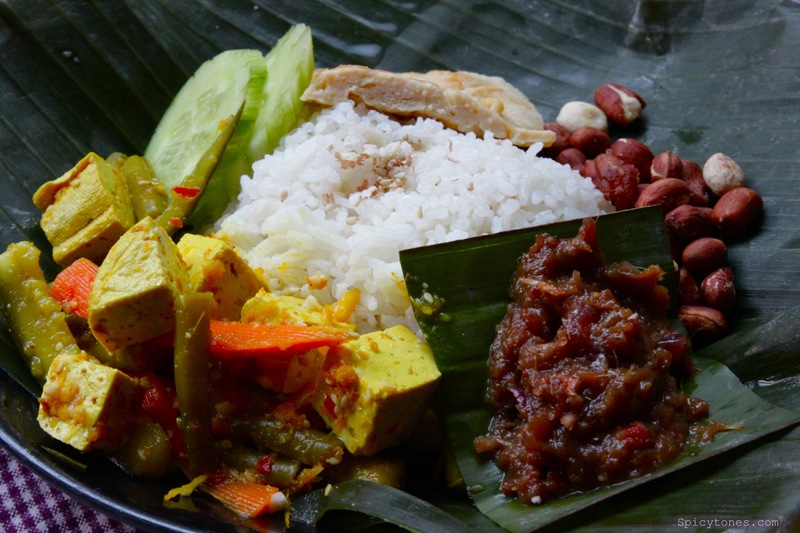 Her Nasi Lemak was always simple and plain, just sambal, peanut, anchovies, omelet and cucumber, and the rice was packed with flavor and fragrance from the coconut milk and banana leaf. It was always worth the 50 cents we have got on our hands, those shillings that we might have stolen from our grandfather’s pocket. 1) Wash rice at least twice. 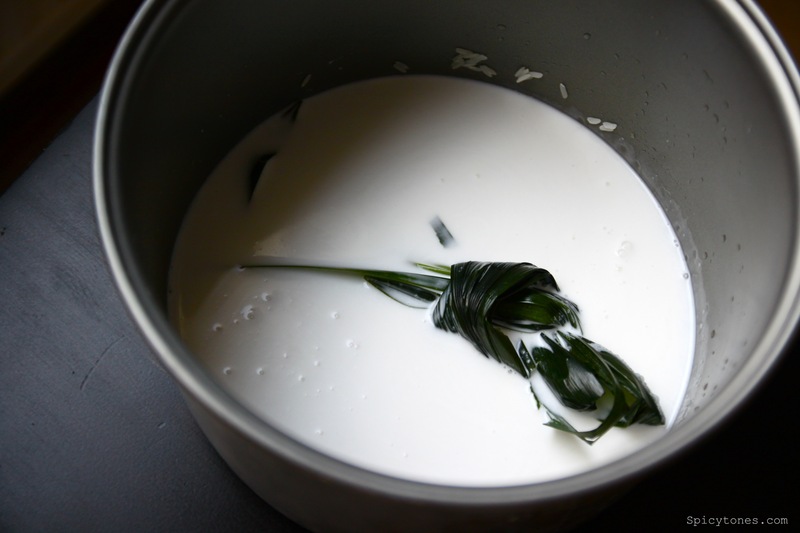 Add in all the ingredients into a pot and bring to boil. 2) Turn the heat to medium high, cook for 5 minutes. 3) Stir to prevent sticking from the bottom, covered with lid. Turn off the heat and let it steam for 20 minutes. 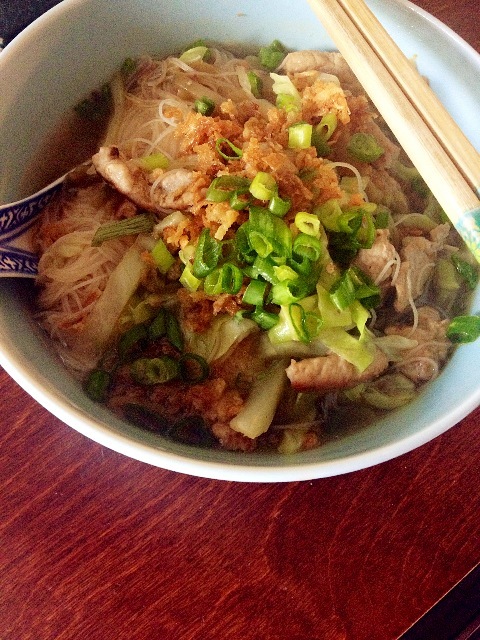 4) Break the rice with chopsticks or fork, set aside. 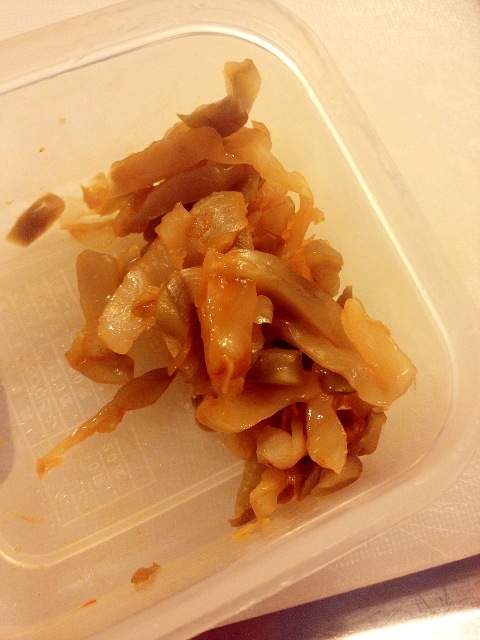 1) Put shallots, dried chilies, fresh chilies, garlic, lemongrass into food possessor, blend into a paste. 2) Heat up 2 tbsp oil in a sauce pan. Fry paste and onion until fragrance. Add in tamarind juice. Stir. 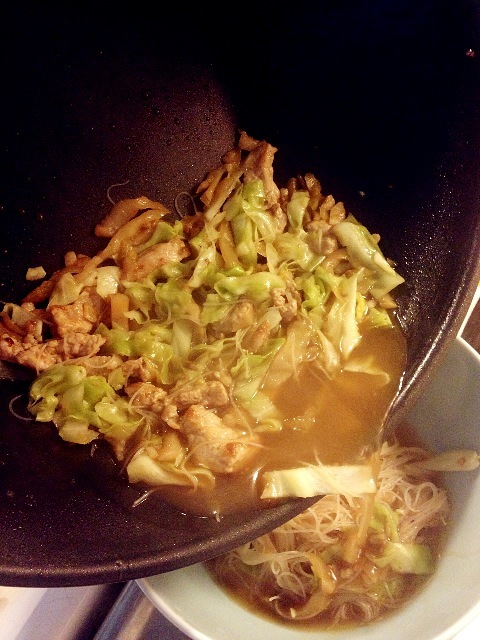 3) Add in sugar, salt and soy sauce. Turn to low heat and cook for at least 40 minutes. 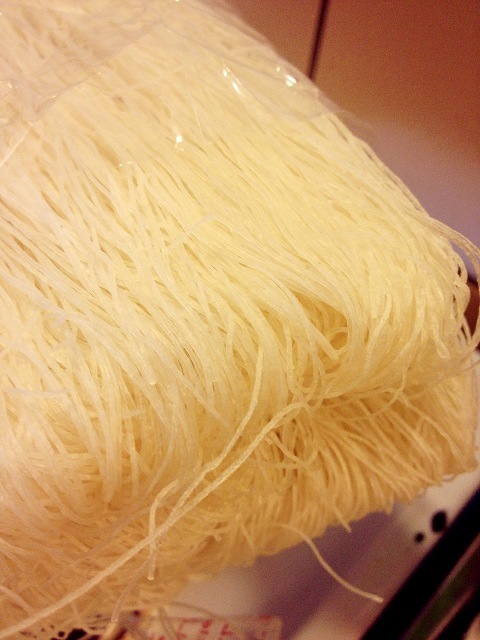 Keep stirring to prevent burning. Set aside. Note: Making sambal is very challenging. 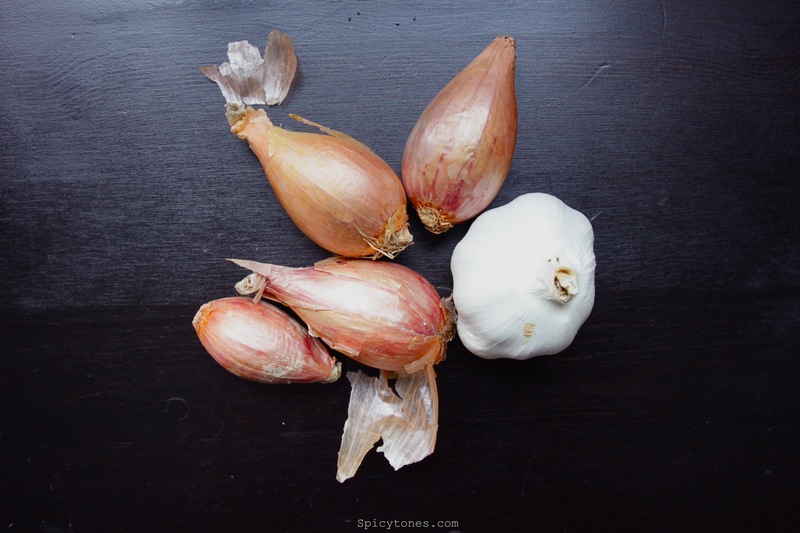 It is crucial to cook it with low heat for a long time in order to allow the shallots to transform its pungent taste into sweetness. Keep tasting, if it does not taste right, it is not done yet! 😉 For non-vegetarian, mix in fried anchovies at last and cook for another 5 minutes before serving for more authentic version. 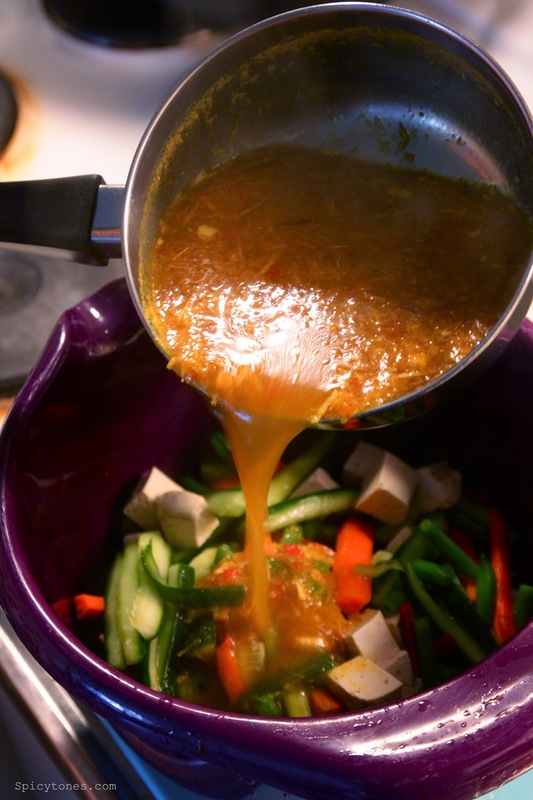 It is wise to make a bigger batch of sambal since it takes a lot of work. 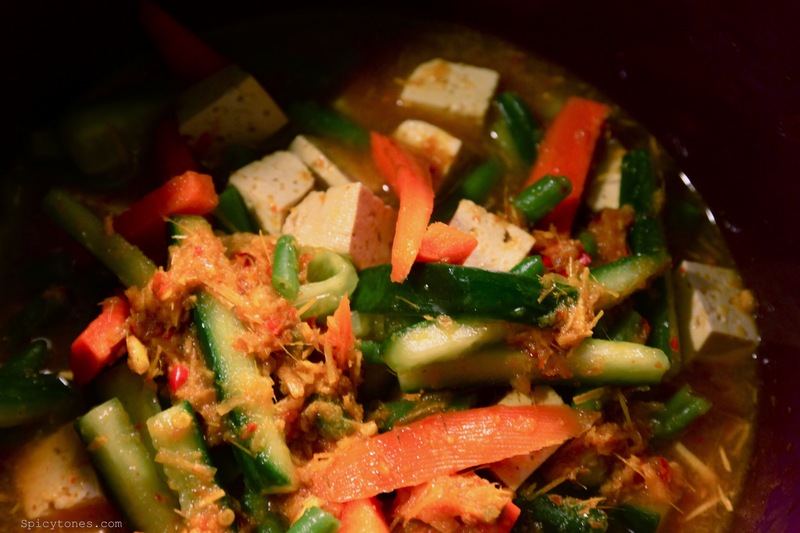 It goes extremely well with fried noodles, fried rice and even with the curry for Roti canai (Malaysian-Indian bread). 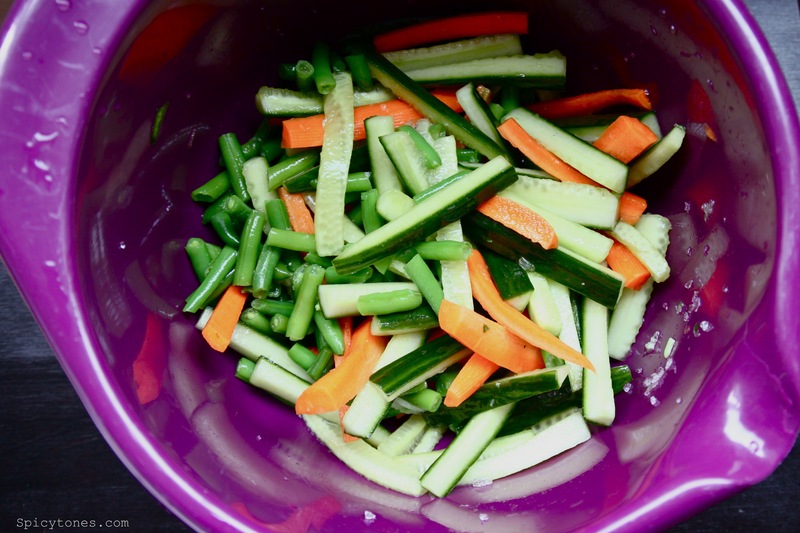 It stays well in a sterilized container for up to a week in the refrigerator. 1) Beat up eggs, whip in sugar, soy sauce and white pepper. 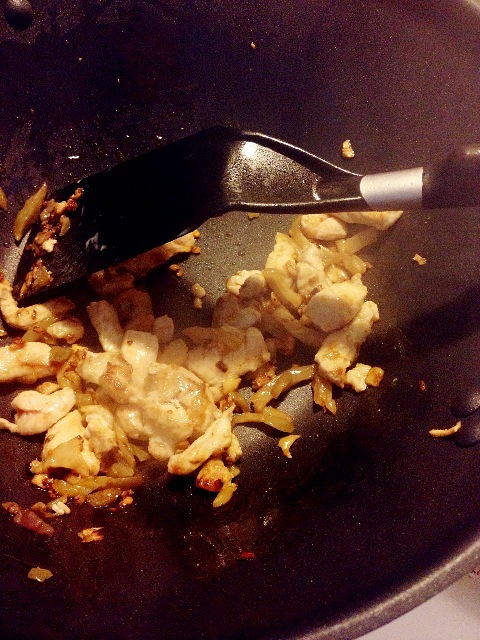 2) Heat up pan and add 1 tbsp oil. Pour in half of the batch, move the pan around to make thin layer of omelet. Flip if preferred. 3) Repeat for another batch. Cut ready omelet into serving size. 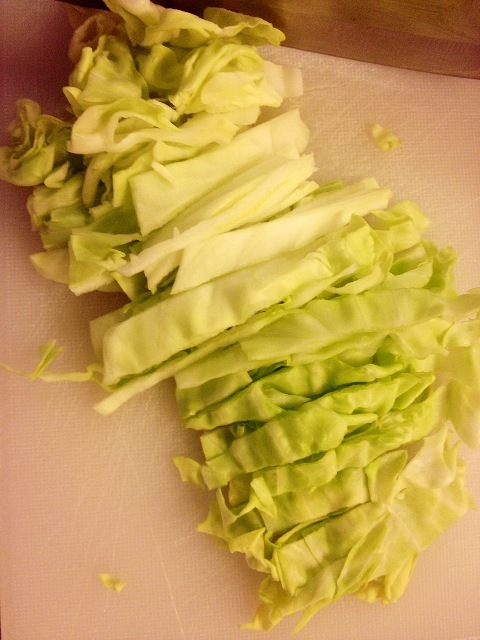 1) Mix cabbage, french beans, cucumber and carrot together and mix with 2 tbsp of salt. Let it sit for 20 minutes. 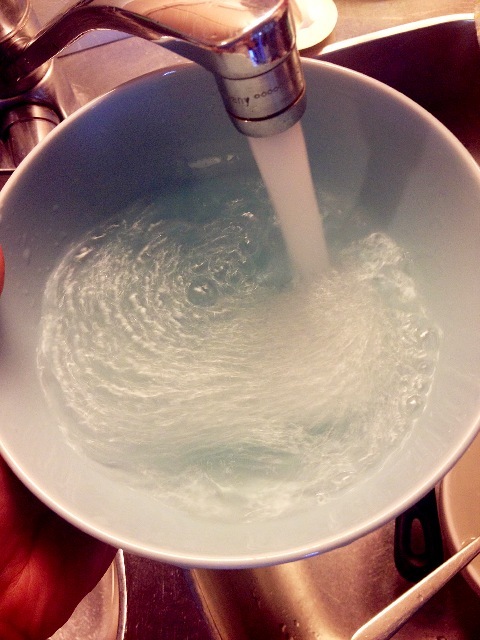 Squeeze out excess water and wash the salt away. Drain dry. 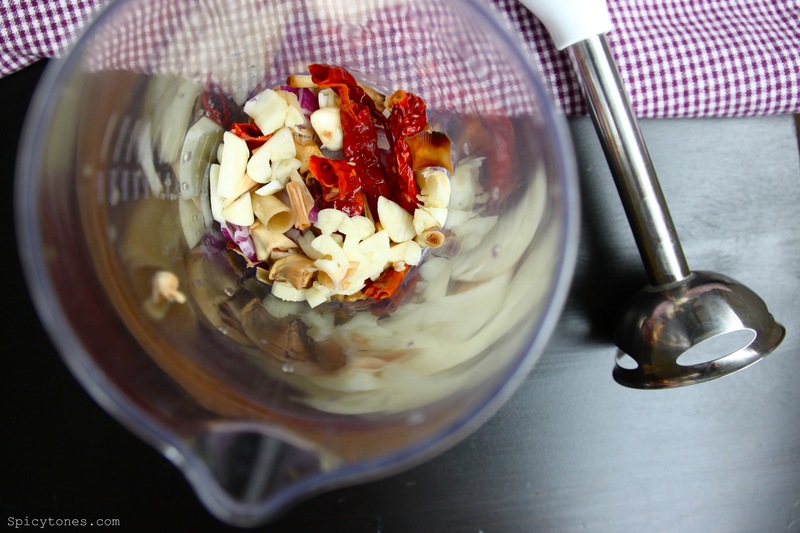 2) Blend shallots, garlic, lemongrass, dried chilies and chilies in food processor into a paste. 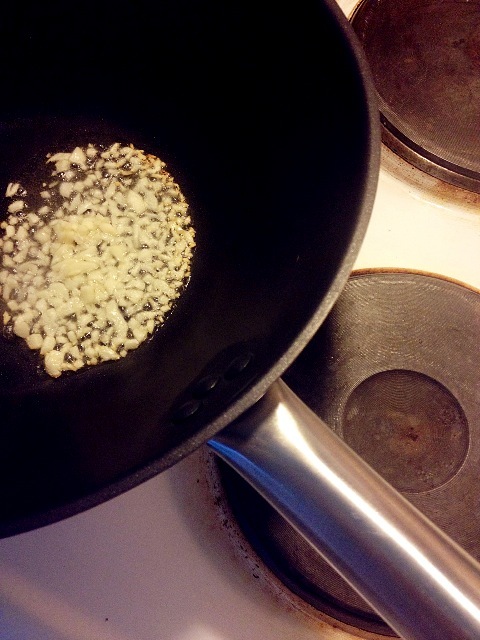 3) Heat up oil in a sauce pan and fry paste until fragrance. Add in vinegar, turmeric powder, water and sugar. Bring to boil. 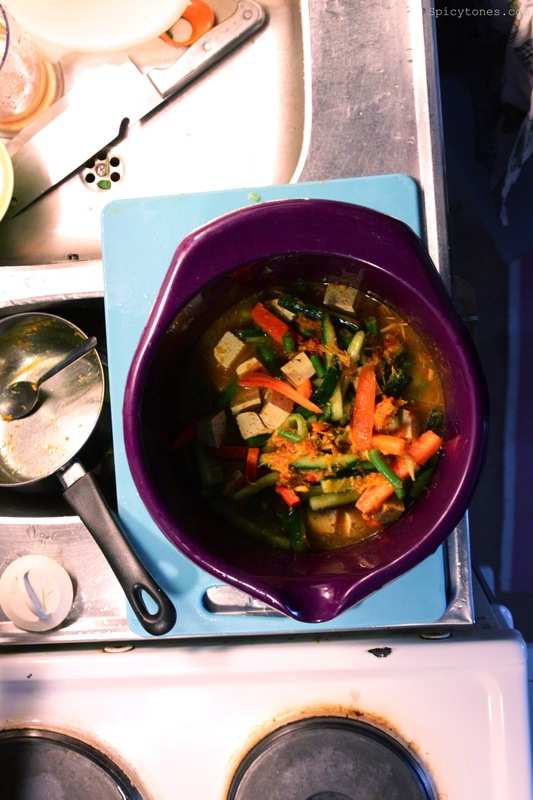 4) Pour liquid over the mix vegetables, mix in tofu and pineapples. Covered and let it sit in refrigerator for at least 2 hours. 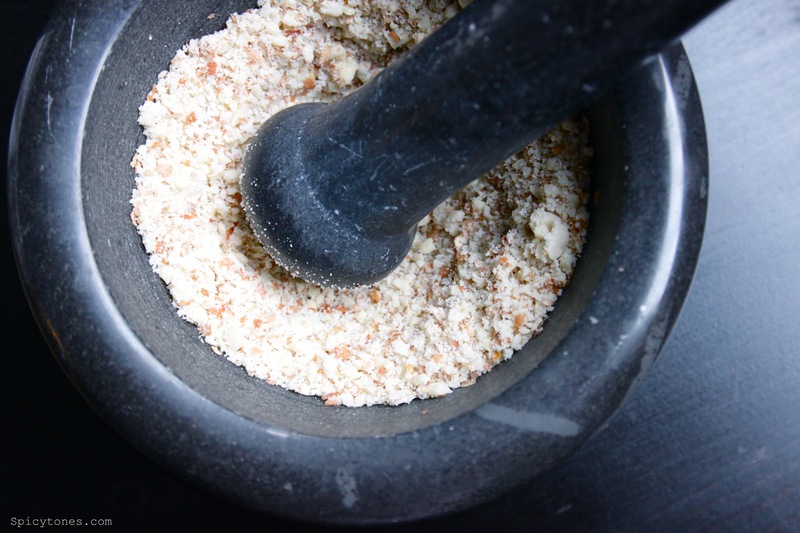 5) Mix in ground peanuts and sesame seed, stir well before serving. 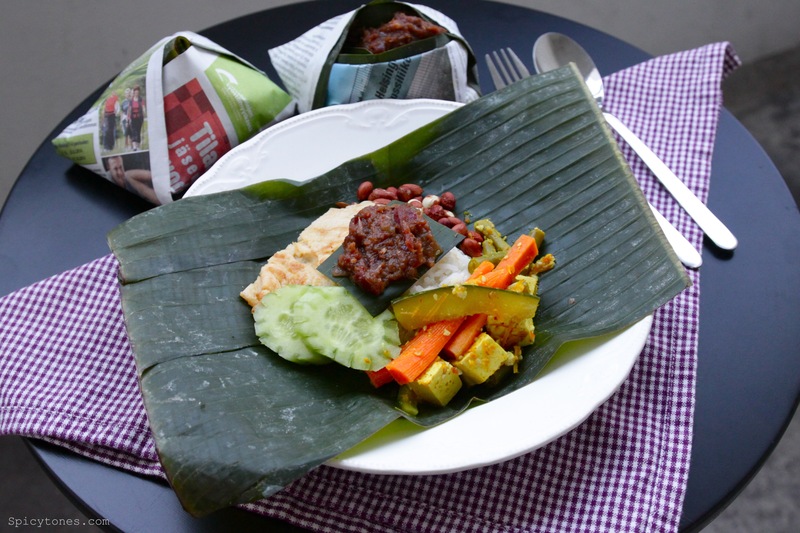 To serve an authentic Nasi Lemak , prepare a piece of banana leaf on top of a piece of newspaper. 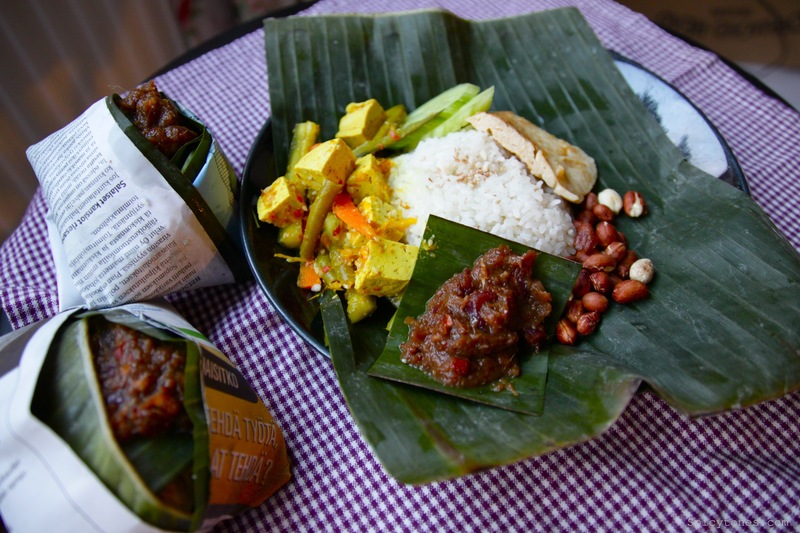 Place one portion of coconut rice in the middle, assemble all the other components around it and top up with Sambal on a small piece of banana leaf. 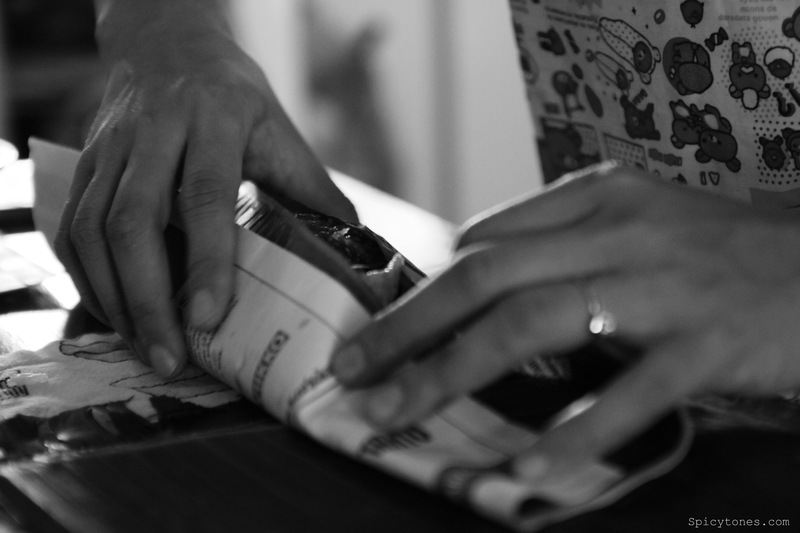 Wrap and fold the edges to the bottom. Served. 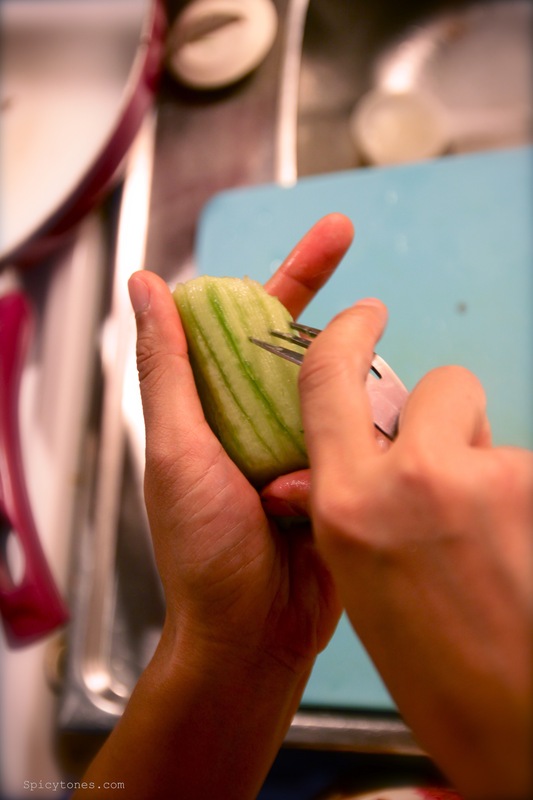 Eat with your clean right hand. Maybe she just loved to share her Nasi Lemak with others.